Rest assured, David J. 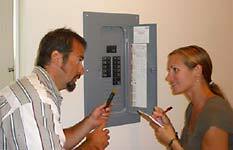 Polo is a fully licensed #24GI00023700, insured and bonded New Jersey Home Inspector. David Polo has been providing professional and personalized service for over 30+ years in the Home Inspection and building industry, has trained and mentored over one dozen local NJ Home Inspectors, is a member of NACHI #03052007, ALPHI, graduate of The Inspection Experts school in Boca Raton, Florida #3015, HUD Housing Specialist #M61915, Licensed Radon Technician #10903, Mold Certified #PLP10683, Certified Swimming Pool Inspector CPO & CPI #457213, and is a State and EPA Federal Asbestos Building Inspector. Do you want Guaranteed Satisfaction and Get What You Pay For??? Only Polo & Associates gives you 100% Satisfaction. It is simple. If you think during the home inspection that Polo & Associates has not performed a thorough inspection according to the NJ Licensing Standards of Practice then pay nothing for the home inspection and we will gather our things and wish you well! Do you want an inspector that works for YOU and NOT the realtor??? Unlike many inspectors, We Work For You, not the realtor. We will uncover and explain to you as many things as possible so that you can make an accurate assessment regarding the largest investment of your life! Do you want a seasoned inspector that loves what he does??? I am David Polo, the owner with over 30 years of experience in the real estate industry. I have trained and helped to license 12 local inspection companies. I love what I do and it shows! The Best Professional Value in New Jersey! 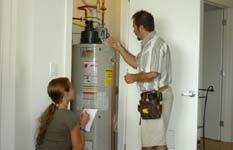 We will inspect all of the major components (structure, roof, electrical, plumbing, heating, ac, appliances, etc. etc.) of your home inside and out and upside down to give you the facts regarding the largest investment of your life! Beware: inexpensive = inexperienced/ out of work! Your most important question to ask when scheduling a home inspection should be, "Who will inspect my home and how much home inspection experience does he have?" Like most things, you will get what you pay for. Our goal at Polo & Associates is to offer you The Best Professional Value in New Jersey! We will explain the pros and cons of our findings, life expectancies and maintenance tips along with answering your questions regarding your home. At the time of your inspection, we evaluate up to 400 items in accordance with New Jersey's Licensing Act, as well as coordinating any environmental testing. Your largest investment deserves this kind of attention! Hey David, I just wanted to say thanks for everything today. There was stuff I would have never looked for in a thousand years that you pointed out today. I appreciate you pointing things out and explaining everything to me. If anyone I know ever goes through the home buying process, I'll be sure to give them your information. Thanks again. I wanted to thank you for providing us with a great home inspection. You showed true professionalism and meticulousness during the time we spent with you looking over the house. Both Realtors were also very impressed with you. You were also able to get all the necessary documents to us on time. Thank you for all the advice you gave us on maintaining the house and we hope to invite you back in another couple of years for a house check up. I have already given your name and website to numerous people privately and those involved in Real Estate. We appreciated your personality and humour during the process, thanks for making this easy.